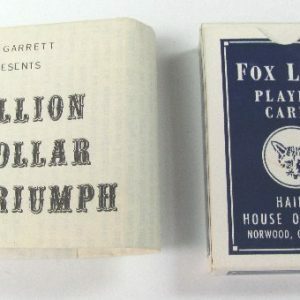 This came from an old magician’s estate. Comes with Abbott’s original instructions and packaging envelope along with all the required cards. If you want a smart card trick that fools and mystifies with a sock surprise climax. This is it! 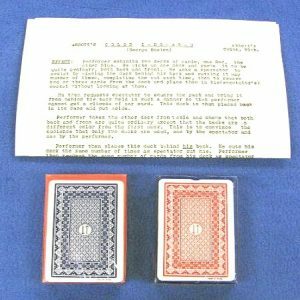 Using four cards, one of which is the Ace of Diamonds, you tell the magic legend of the peculiarities of the Ace of Diamonds. Turn it face down, then show the cards face up, and sure enough, the Ace has vanished. 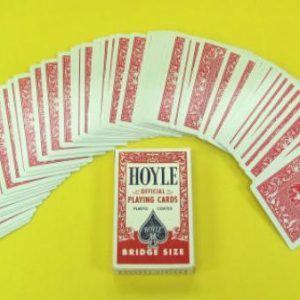 The above will give you a very slight idea of this fascinating card trick. It’s easy to do – no sleights – and we don’t have to tell you that it is the perfect close-up trick! 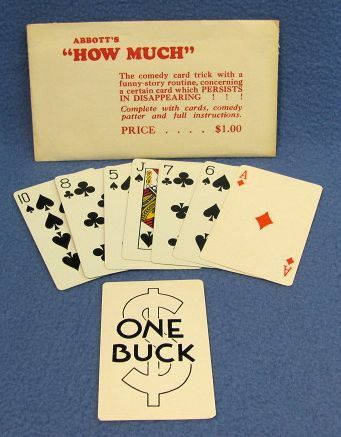 Complete with Aviator bridge size cards, comedy patter, and routine.